March 31, 2016 April 13, 2018 - by Gold Cochin - 13 Comments. 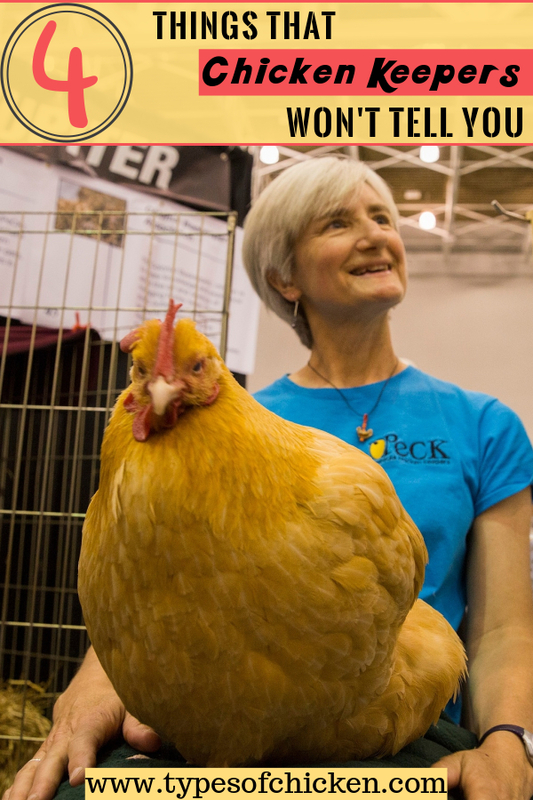 Chicken keeping can be a lot of fun and almost every chicken keeper wants to share his opinions and experiences with others that have the same hobby, or simply – brag how much they enjoy the process. But unfortunately not everything is as simple as that and there are a few things that chicken keepers tend to keep for themselves and avoid sharing that kind of information with others. We at the typesofchicken.com team have found some of these things that can negatively affect your decision about keeping chickens and most chicken keepers will think twice about telling you. At the start of their careers as chicken keepers, many people consider chicken keeping as a hobby or as a business idea. Then it starts, when the first chick from the flock hatches or the when the first egg is tasted some people tend to get more and more enjoyment in those simple things. The color of the egg yolk or the love that a little chick holds in its eyes can become very addicting and therefore it may cause a disturbance in the daily habits of the person that chose this hobby. So before deciding to get chickens keep in mind that you might end up with a bigger flock than the one you were anticipating to have. By “tend to spoil” I mean creating the habit of providing what is best for your chickens and starting to feel guilty when due to other arrangements you fail to finish something that you meant to do for them. This will make you want to do more and more for your chickens and by that, you become their devoted servant. To prevent this from happening you might consider making some toys for them and/or an automatic “waterer” so that you will not get the feeling that they are bored or not provided for without you. Everyone will brag about their coop or their fresh eggs any day of the week, but it is rare that a chicken keeper will discuss the number of chickens that have escaped out their coop and their run. Chickens are very smart animals and they are very curious, which can often lead to them escaping from your possession. Also if you fail to keep them fed and happy they may also want to run away from you. 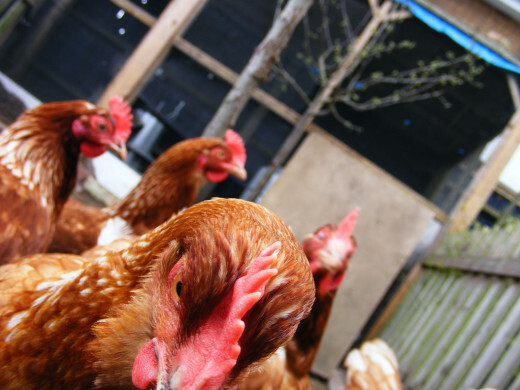 To prevent this you need to know how to keep your chickens entertained and properly fed. When I first told my friends that I was planning to keep chickens in my backyard some of them tried to convince me not do it because of many reasons and they were not very supportive. I don’t know what makes some people dislike chicken keeping but I am positive that almost every chicken keeper has someone in his life that is not particularly fond of and fails to understand the benefits of keeping chickens. 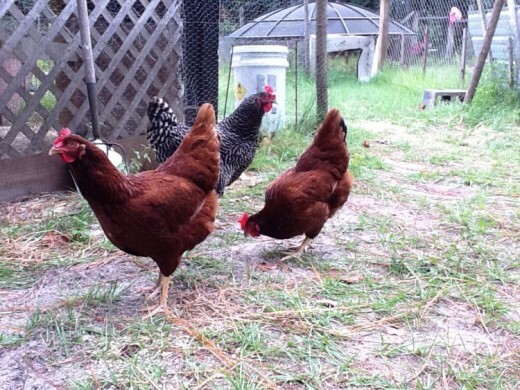 Next Article Pros & Cons About Keeping Leghorn Chickens! A so very true!!! LOL. Social, courious and just way to cute. LOL. I have friends that constantly joke about eating my pet chickens. It wears very thin after a while & no longer is funny, more offensive really. Why can’t they just accept that I love my pet chickens. Not all chickens were meant to be eaten! Yeah, my boss when he found out I raised chickens, he went àround telling the entire company that when i wake up every morning, I have to make sure I have enough time to collect the eggs and milk the chickens. It gets old pretty fast. Lol. I still love my chickens. Love all my chickens, guineas and ducks and keep getting more. My grand daughter loves them even more. I just got chicks the 2nd of March and I can’t remember enjoying any animal quite as much as chickens. I have 2 horses and also love them to death but the chickens are fun to watch and they follow me everywhere. I’m 70 yrs old so I have lots of time to sit with them. I post pictures of them on facebook and I’m sure my friends think I’m nuts. Yes, Shirley, you are nuts. Me too. 🙂 I’m 75 and have the most entertaining backyard in our suburban community. This is VERY true. I didn’t know how addicting chickens could be until I got my first 6 baby chicks and my flock has grown considerably since then. I now have 28 chickens and just got 2 ducks today. We have several chickens and in the beginning they also visited the neighbours who were okay with that. In spring the neighbours asked to keep them in the garden because of new plants etc. We placed a fence, but one keeps going! We cut her wing and we put a thread over the fence. She is one big Houdini chicken but she is never far and always returns. You gotta love that!